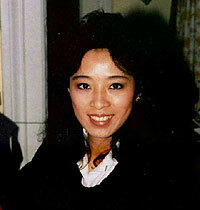 Betty Ann Ong was a flight attendant on American Airlines, Flight 11, the first airplane to become hijacked on September 11, 2001. Shortly after the hijacking began, Betty chose to be involved and make a difference by taking action to notify the American Airlines ground crew of the hijacking situation on board the airplane. Amid horrific danger, she stayed on the telephone for 25 minutes, relaying vital information that eventually led to the closing of airspace by the FAA for the first time in United States history. Many have heard about Betty's heroic acts, but many may not have known that she had a great love working with children. At a young age, Betty had already towered over the heights of many of her classmates and friends. She felt awkward and shy, but it was an interest in sports where she excelled and flourished. It was her passion for team sports that had taught her how to embrace victory and to discover other essential life lessons. She learned that when people share the same vision and passion, they will be successful. She believed that hard work builds character and strength of mind that can overcome obstacles. Betty tried to instill the same positive attitude in the minds of children whose lives she touched. She believed that having a positive self-image and self-confidence at an early age was crucial to the development of a well-adjusted individual. The message Betty shared was that a "can-do" attitude will triumph over life's setbacks. In memory of Betty, the Betty Ann Ong Foundation, a not for profit public charity, was established to continue her legacy. The advocacy of the Betty Ann Ong Foundation serves to educate children to the positive benefits of lifelong physical activity and healthy eating habits and to provide opportunities for children to experience the great outdoors so that they can grow to become healthy, strong and productive individuals. Betty's memory will live through the Foundation's work for the advocacy of children and to give recognition to heroic flight attendants who continue to work hard to keep the passengers safe in the aftermath of September 11, 2001.